Wilkie Collins is commonly known as a master of Victorian sensationalist fiction whose work has greatly influenced what we now know as detective and mystery genres of literature. The Woman in White was published as a full novel in 1860 after having been an extremely popular serialized publication from November 1859 to August 1860. Collins’ clever blend of supernatural elements, domestic scandal, and intriguing mystery make this novel a page-turner that isn’t easily put down. First and foremost, I have to mention this novel’s wild entertainment factor. I can see why this novel was successful when serialized because each section leaves you wanting more and more. Not only is the plot suspenseful, but there is also a level of uncertainty surrounding the large cast of characters that makes you keep turning pages. A haze of ambiguity surrounds many characters, leaving the reader to question whether or not they can actually be trusted. The suspense of waiting to uncover the true colors of these characters is equally as exciting as the actual events of the story. And that ending… you’ll just have to read it for yourself! Speaking of the characters, I love how each and every character has a unique, well-developed, multifaceted personality. For instance, Mr. Fairlie is unbelievably selfish and petty but also hilarious; Sir Percival Glyde is greedy, conniving, and infuriating; Count Fosco is charming yet manipulative; and Walter Hartright is so sweet that I couldn’t help but root for him the entire time I was reading. The narrative structure of this novel is really remarkable in that the reader gets to hear different parts of the story told by so many characters. It’s so fun to watch the entire story unfold as each character tells his or her version of what occurred. The narrative style brings up many interesting questions: Can we trust these accounts? What is “true” and who can actually be considered a “reliable” narrator? Many of the narrators attempt to establish their credibility at the beginning of their testimonies, with the exception of Laura’s father. But do these assertions of credibility indicate trustworthiness or overcompensation for something that is lacking? It’s impossible not to have these questions lurking in the back of one’s mind while reading this novel; however, they add intrigue rather than confusion to the story. Overall, I enjoyed The Woman in White far more than I had initially expected to when I turned to the very first page. Collins’ meticulous attention to details and carefully developed characters make for an impressive, memorable, suspenseful, and thrilling story. I’m so thankful that this novel was on my required reading list for this term– sometimes they contain unexpected gems! What are your thoughts on The Woman in White? Do you like thrillers and mysteries? Have any recommendations? Let me know in the comments section below! Oooh that’s so fun! Do you know what you’re going to write about it? I can’t wait to discuss it in my tutorial. If you love mysteries, then you’d definitely enjoy this novel. 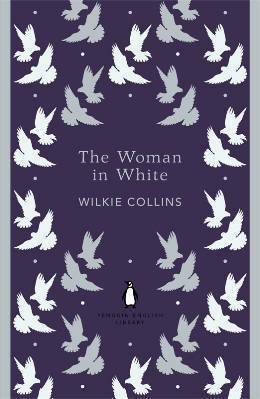 There are so many little details and twists in the plot that it’s amazing that Wilkie Collins was able to wrap it all up in a way that makes sense! btw have you read “The Suspicions of Mr Whicher” ? I think you’ll really like it . I really enjoy reading your reviews! Would you be interested in a post about Canva vs PicMonkey and writing about which one you use and why? If so, please could you email me: wildslifeblog@gmail.com. Thanks! I haven’t read this yet, but learned about it in “Not Just Jane”, another book you reviewed and recommended (which I greatly enjoyed). I look forward to reading “Woman in White”. Thank you for your great literary taste. I’m not a big mystery/thriller reader, but I do want to read more classics so this is one I may pick up at some point in the future. Definitely a fan of Wilkie Collins. I also liked The Moonstone and No Name. You should check those out.